Vieux Lion Rouge (David Pipe/Tom Scudamore, 11st 5lb), Highland Lodge (James Moffatt/Henry Brooke, 10st 5lb) and The Last Samuri (Kim Bailey/David Bass, 11st 12lb) are among 16 declared runners for the £145,000 G3 Randox Health Becher Chase (1.30pm), staged over the Grand National fences at Aintree on Becher Chase Day, Saturday, December 9. 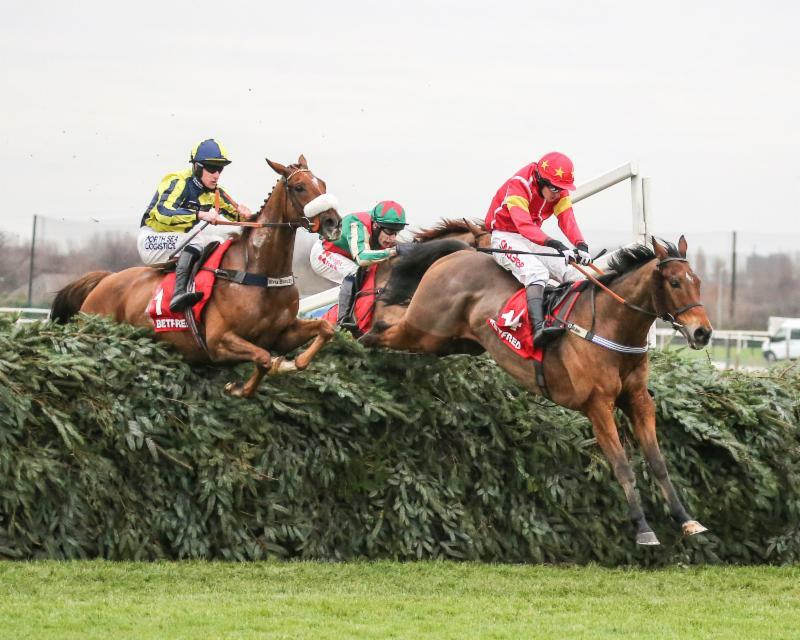 The trio filled the first three places in the 2016 Becher Chase, with Vieux Lion Rouge coming out on top by a short-head from Highland Lodge with The Last Samuri, the 2016 Grand National runner-up, a length away in third. Highland Lodge will be running in his fourth Becher Chase, having also won the near three and a quarter mile contest in 2015. Nigel Twiston-Davies is the most successful trainer in the Randox Health Becher Chase, having sent out five winners. His representative in 2017 is Blaklion (Gavin Sheehan, 11st 6lb), who was fourth in the 2017 Randox Health Grand National and second to stable companion and subsequent impressive G1 Betfair Chase victor Bristol De Mai on his comeback in the G2 Charlie Hall Chase at Wetherby on November 4. 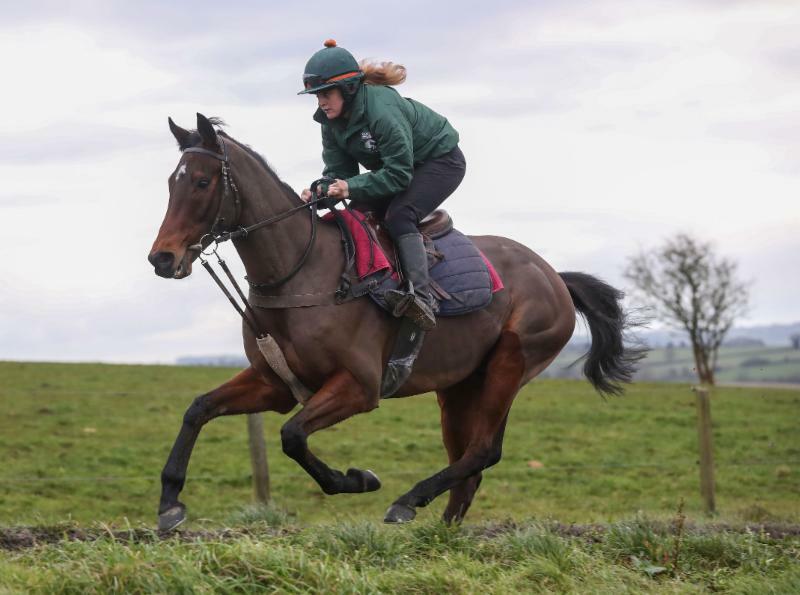 Viva Steve (Fergal O’Brien/Jonathan Burke, 10st 5lb) will be making his debut over the Grand National fences. The nine-year-old captured a three-mile handicap chase at Ayr last November on his debut for the stable and was last seen out finishing fourth on heavy ground in the Kerry National at Listowel, Ireland, on September 13. Trainer Fergal O’Brien said today: “Viva Steve had a little break and seems in good old form. “He ran well in the Kerry National and seems to go well fresh, so it was always the plan to head straight for the Becher after Listowel. “We will have to wait and see how he takes to the fences, but he is a nice, straightforward horse who will handle the ground. Paul Nicholls has saddled three Becher Chase winners and this year relies on As De Mee (Sean Bowen, 11st 2lb). The seven-year-old scored on Becher Chase Day in 2016, when taking the Grand Sefton Chase over two miles and five furlongs of the Grand National course and was also fifth over the same trip in the Randox Health Topham Chase at the Randox Health Grand National Festival in April. Ireland has taken the Becher Chase on three previous occasions and there are four Irish-trained contenders this year – the 2014 Cheltenham Gold Cup hero Lord Windermere (Jim Culloty/Brian Hughes 10st 11lb), 2016 Irish Grand National victorRogue Angel (Mouse Morris/Richie McLernon, 10st 2lb) plus Westerner Point(Eoghan O’Neill/Philip Enright, 10st 1lb) and Portrait King (Patrick Griffin/Conor O’Farrell, 10st). Sizing Codelco (Colin Tizzard/Tom O’Brien, 11st 9lb) won value handicaps at both the Randox Health Grand National Festival and Punchestown Festival in the spring while other interesting contenders include soft ground specialists Goodtoknow (Kerry Lee/Jamie Moore, 10st 9lb) and Vic De Touzaine (Venetia Williams/Liam Treadwell, 10st 6lb), plus 2016 bet365 Gold Cup winner The Young Master (Neil Mulholland/Mr Sam Waley-Cohen (3), 10st 12lb). Completing the field are recent Kelso winner Federici (Donald McCain/Will Kennedy, 10st) and Straidnahanna (Sue Smith/Sean Quinlan, 10st). Declared runners for the other six races on Becher Chase Day, including the 188bet Grand Sefton Handicap Chase (3.10pm) over the Grand National fences, will be known tomorrow, Friday, December 8. There was 12 millimetres of rain overnight. The rain has now cleared and today has been brighter. There is a chance of sleet and snow showers overnight into Friday, with colder temperatures. Further sleet and snow showers are also forecast on Friday but Saturday should be brighter, with temperatures of around five degrees Celsius. Vulnerable areas of the course are being covered today.